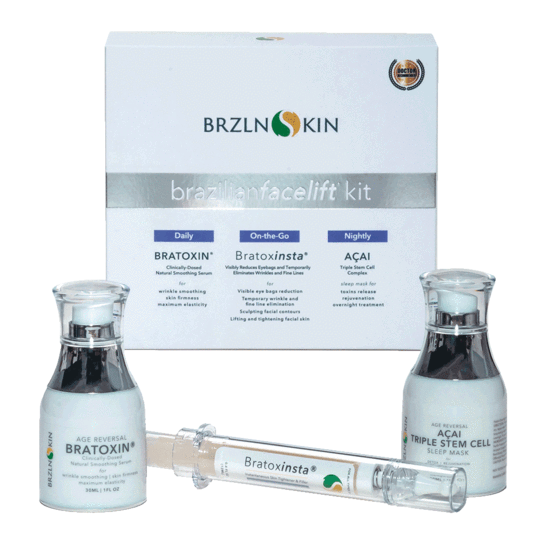 Keep reading to learn more about this company and the products that make up the Brazilian Facelift Kit. 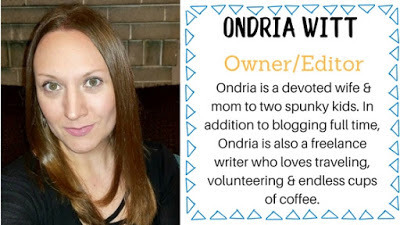 Scroll to the bottom of the post for the giveaway! 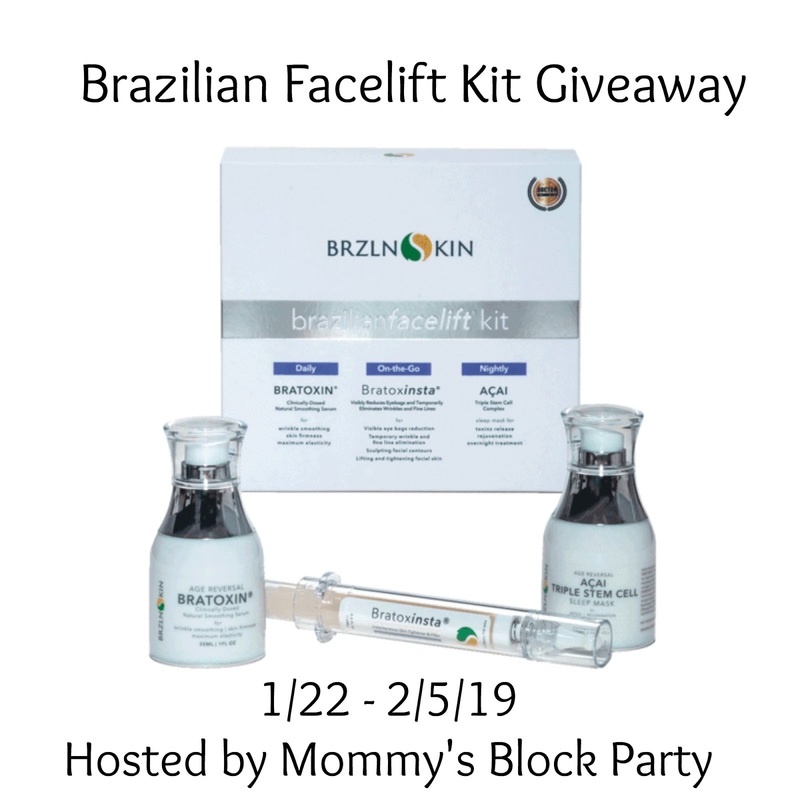 One lucky reader will win the Brazilian Facelift Kit, valued at $229.00! 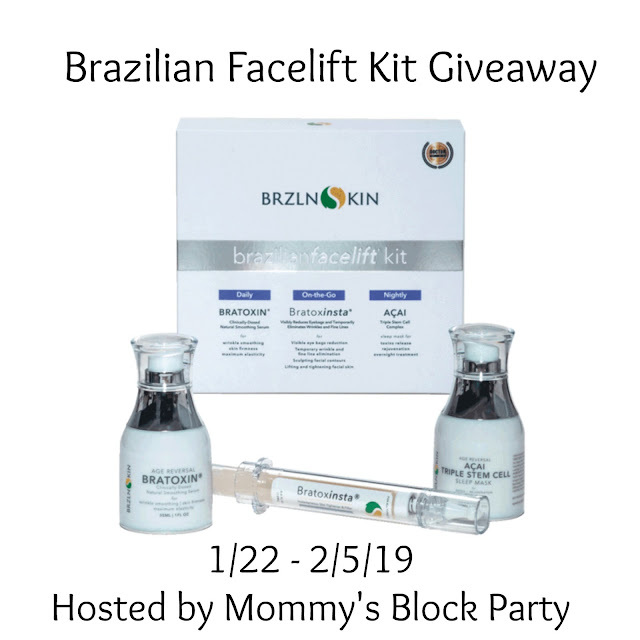 Special thanks to our friends at Brazilian Skin for making this giveaway possible! Look for this beautiful necklace in our 2019 Winter Survival Gift Guide! The sides of my face and my chin. I try to drink as much water as I can. I have fine lines & wrinkles in the eye area. I still will occasionally get acne. Drives me crazy. My best beauty tip would be to increase your water intake. It makes your skin look and feel so much better! I have forehead creases and the 11's that I'd love to smooth out. I walk my eyelash curler down my lashes to prevent the 90 degree curl. Another beauty tip would be to use lots of moisturizer, especially during the winter! I use SPF daily. I wish I had started as a teenager. Always remove make up before bedtime. I double cleanse at night. The oil removes all waterproof makeup and sunscreen. The second cleanse removes any remaining dirt. I take off my makeup every night. I use a great nighttime moisturiser. I"m just old I think I'm 34 but whatever you can do to help me I would be so appreciative. When my skin gets flaky/dehydrated, I use a facial oil as an occlusive to keep the moisture in. It works every time. I'm awful at doing the eyeliner flick/cat eye. Those new pizza-cutter liquid eyeliners are my hack for getting a sharp line. I do a version of the 10-step Korean beauty routine. Some days it's more steps than others, depending on what I need to address. It has been a revelation. To prevent my skin from becoming dehydrated/flaky, I use a night cream with ceramides and fatty acids. I use a microneedler to help stimulate collagen. It's important to drink plenty of water.